Dieser Artikel ist in der englischen Sprache verfasst, um Teams auf der ganzen Welt einen Einblick in unser System zu geben. The three main components of the mechanical system are the driving system, the kicking system and the dribbling device. The function principle of each part is explained in the following paragraphs. 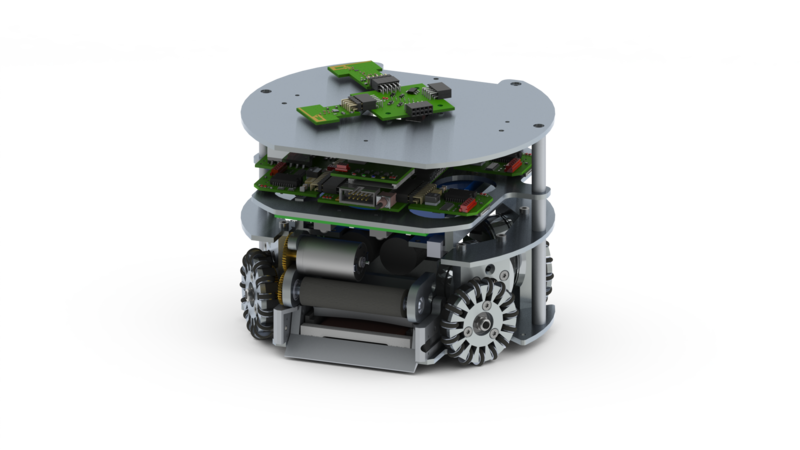 The Robot is powered by four 30 watts Maxon EC flat motors. A gear transmits the torque to the wheel. The wheels are different from those we know from our everyday life: since there are so called subwheels mounted along the perimeter the wheel can also move along its axial direction and is therefore called omni-wheel. 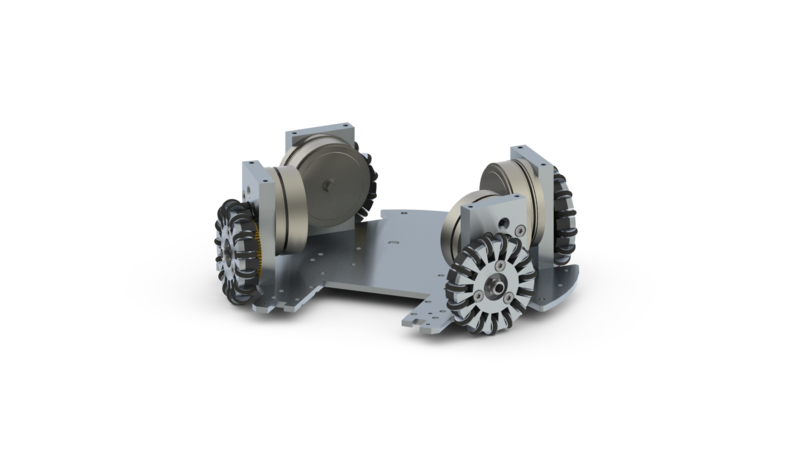 Each omni-directional wheel has 15 subwheels which are mounted on individual axes in slots in the main wheel part. This driving system allows the robot to move in an arbitrary direction while simultaneously rotating around its center. The kicking system consists of two subsystems: the kicker to shoot the ball linear and the chip kicker to chip the ball over other robots. Both kickers are triggered by solenoids which are mounted in the center of our robot. 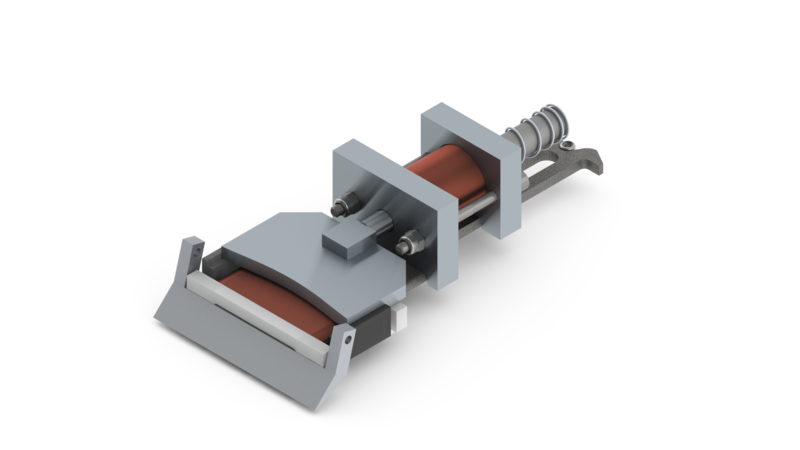 The plunger rods are a combination of a ferromagnetic part and an aluminum part as a non-magnetic component. So if there’s a current flow in the solenoids the steel rod is attracted and an impulse is given to the ball. Of course the rules don’t allow to catch and hold the ball. If the robot shall be able to control the ball anyway there must be found another way. The problem is solved by the dribbling device, what basically gives a backspin to the ball. By that the ball stays near to the robot and allows even to back up without losing ball possession. The whole device is mounted in a damped upwards tilting structure to reduce the kinetic energy of the ball while accepting a pass. 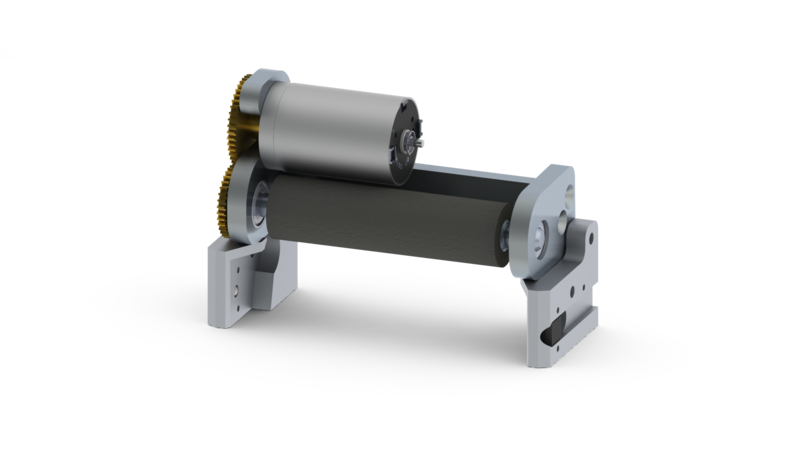 The dribbling motor, a Maxon DC, spins the dribbling bar up to a few thousand rpm. To increase the friction between dribbling bar and ball the bar surface is rubber.